You don’t have to be a licensed sommelier to know a spoiled bottle of wine from a perfectly good one, but many of us wouldn’t know what a “corked” bottle smells like if it were staring us in the face. Here’s how to identify when the bottle you’ve been served has seen better days. 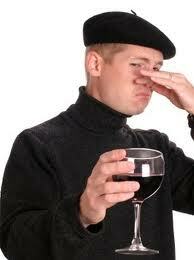 There are a number of reasons why a wine may have spoiled. A “corked” bottle is one where the wine has been tainted by a bacteria called TCA that live in cork. Too much of it and it will definitely spoil an otherwise great bottle. You can tell if you have a corked bottle if you get an odor from it that smells like wet newspaper, or an old, musty basement.